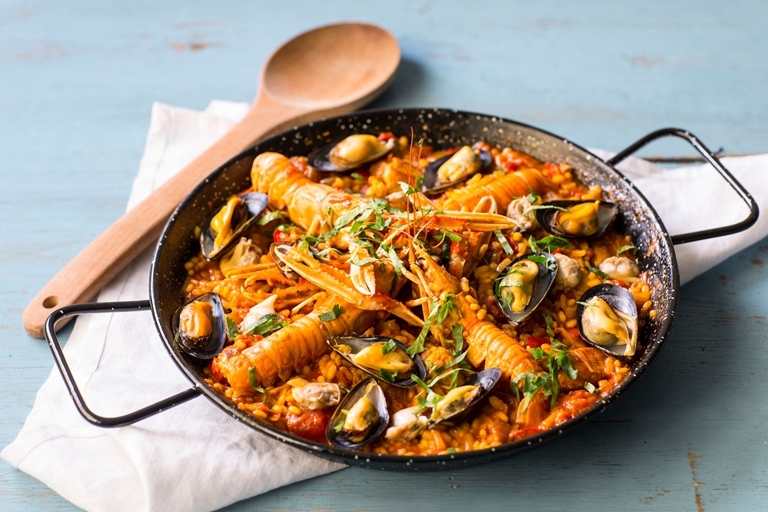 This paella recipe is a true Spanish classic, given a luxurious twist from the inclusion of langoustines, but feel free to use prawns instead. The trick to paella is to not stir it too often, or the rice will release a lot of gluten, giving it a risotto-like texture. Instead, leave it be and allow the rice absorb all of those amazing flavours.